This announcement threw the mobile industry for a loop for a few reasons: 1) The Nexus program was for the first time challenged, 2) The Pixel branding had historically been reserved for Google’s own pompous Chromebook (running Chrome OS), and 3) This Pixel device ran Android instead of Chrome OS. 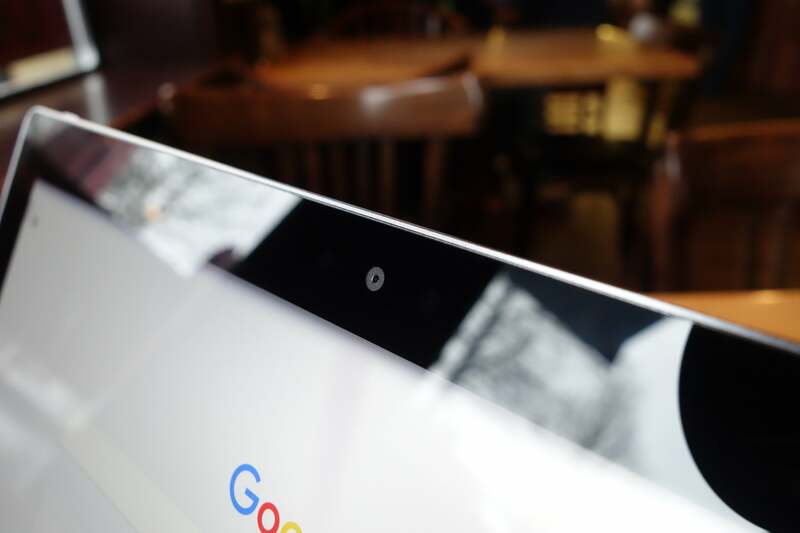 The head scratching was put to the side when Google showed off its neat approach to an Android tablet. The body screamed quality with a sturdy, all-metal build. The complementing keyboard accessory was given the same level of refinement, and neatly integrates with the tablet through a clever use of magnets. 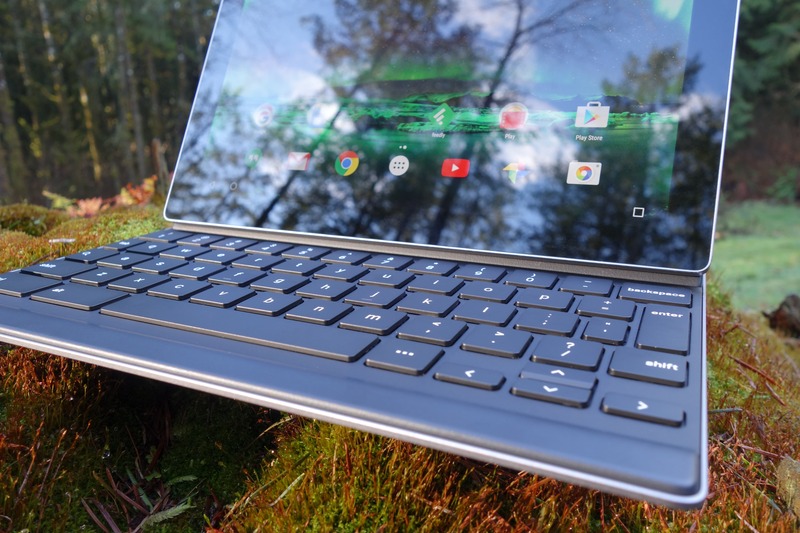 Let’s review if the Pixel C is all that it’s cracked up to be. The build is where the Pixel line shines, as quality is one of Google’s biggest ideas behind it. The Pixel C continues the trend that the Chromebook Pixel started. It is the little brother, if you will. Smaller in size and lesser in capability (and in price). 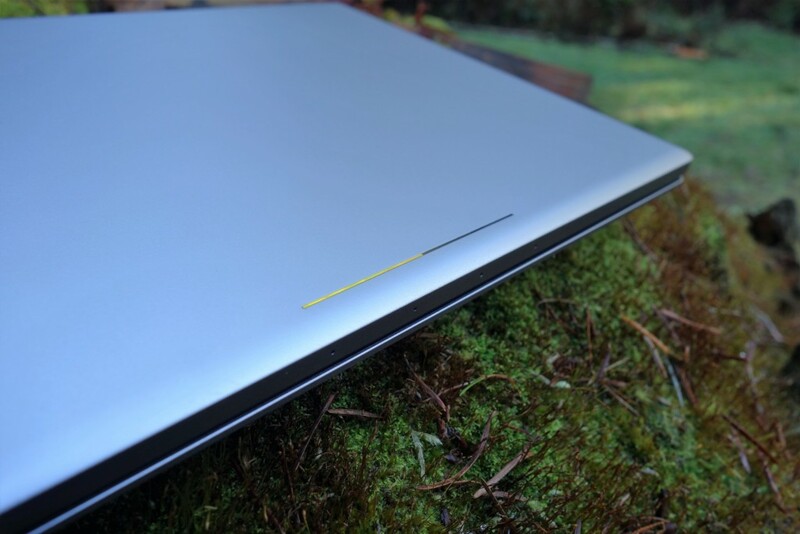 Nonetheless, the superb design and construction from the Chromebook Pixel is ever-so present. As far as I’m concerned, this thing is the definition of a premium device. 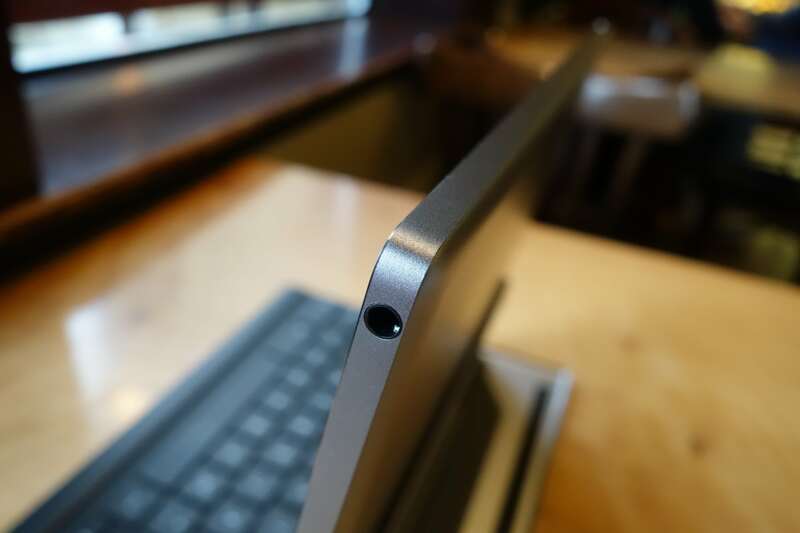 Except for the front glass, metal surrounds the tablet from every corner. Its soft and smooth finish makes for a fantastic feel in hand. The chassis has been machined impeccably, from the curvature that flows onto the sides to the speaker grills. 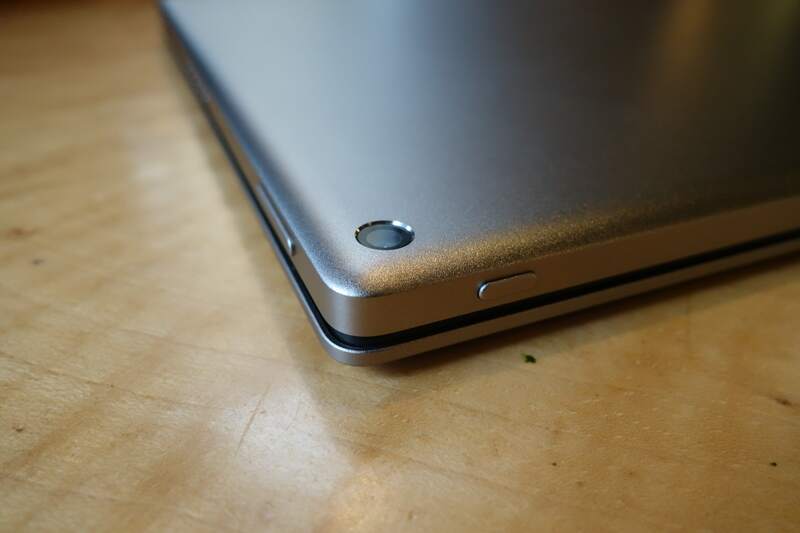 From the front, you can see the lip of the metal casing. It surrounds the glass and has a subtle chamfer to smooth the transition. The power and volume rocker buttons are made of the same sturdy metal (located by the top, left corner). There’s a simplicity and cohesion to them, as they just appear to protrude from the chassis. They are firm and tactile to the press. 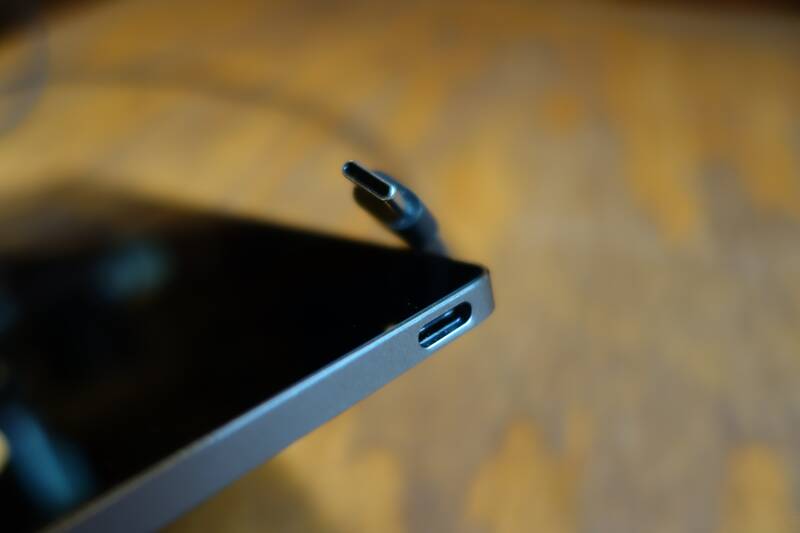 The brand-spanking new USB Type-C port lives on the bottom, left side, and the 3.5mm headphone jack is on the opposite top, right side. The primary camera has a small cutout on the back, right corner. 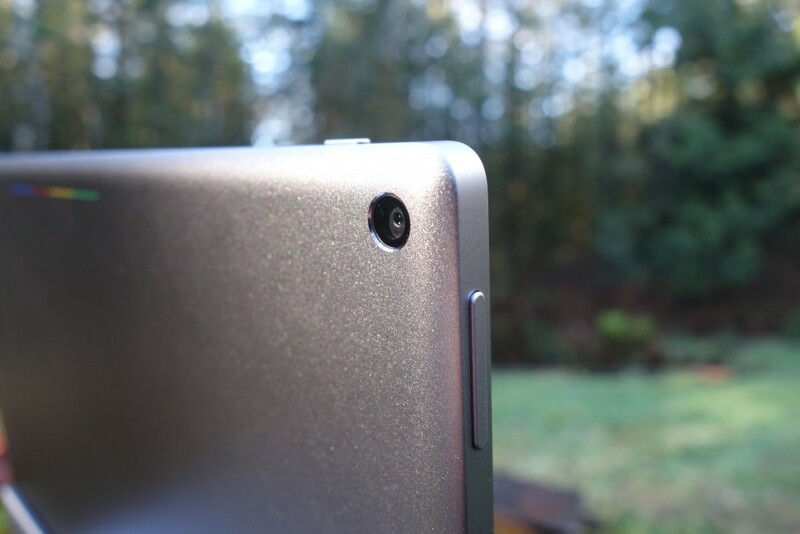 It was thoughtful of Google to recess the camera module so that it doesn’t get scratched. The front facing camera is dead center on the bezel above the display. And speaking of the bezel (black space around the screen), it won’t win any awards for being the thinnest. It’s not exorbitant but is definitely significant. If you recall last years Nexus 9, HTC had incorporated dual front stereo speakers. 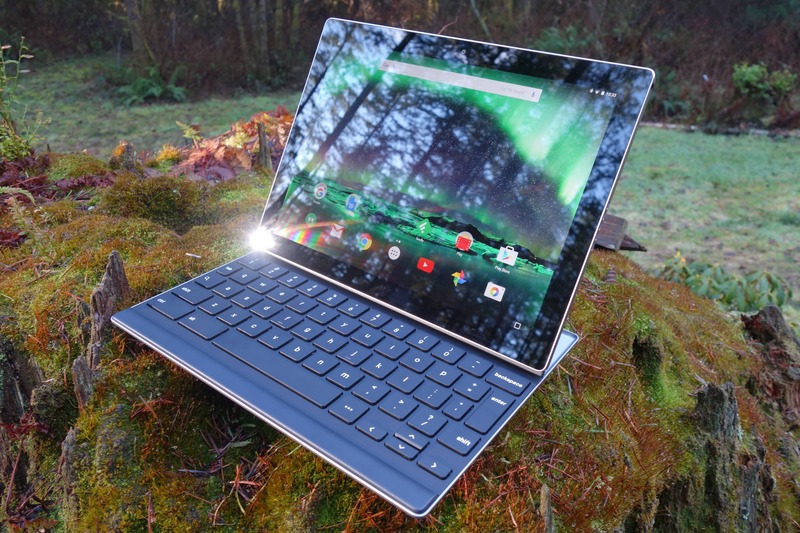 Although Google had been seemingly sold on the idea (Nexus phones have had stereo speakers too), the Pixel C settled with side-firing speakers instead. But at least there’s still two of them. Lastly, there are a couple subtle features towards the top of the device. Four microphones along the very top ensure that the Pixel C listens for your “Ok Google” voice commands, even if you’re across the room (noise-cancellation in tow). You may have already noticed the slit on the back. It’s a split of four LED windows. 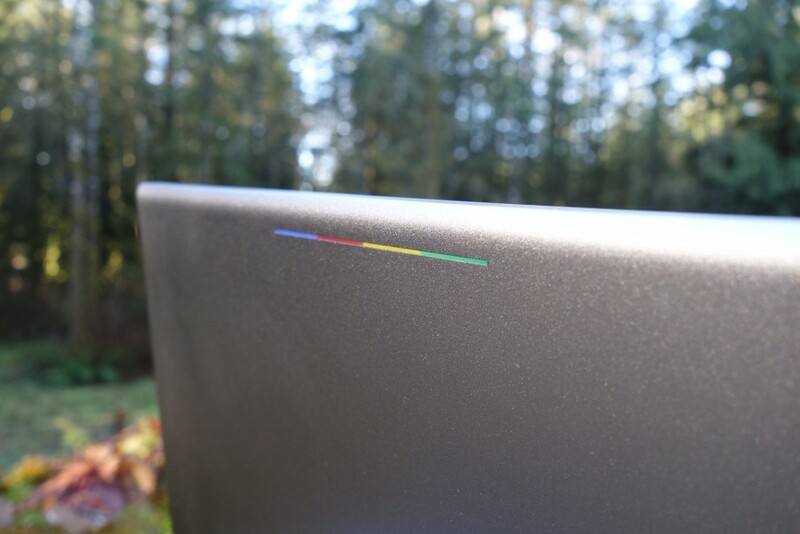 When the Pixel C is in use, it shines Chrome’s signature colors (blue, red, yellow, and green). But it isn’t just for looks. When the display is off, it can show you the battery status (by fourths – 25%, 50%, etc.) when you knock on the back. It also shines red when there’s little battery remaining. The Pixel C packs a 10.2″ sized display (in a 1:√2 aspect ratio). It is an LTPS (Low Temperature Poly-Silicon) LCD panel and I must say, Google nailed it with this one. The picture quality (backed by a sharp 2560×1800 pixel resolution) shines stupendously, with a full sRGB color gamut. And at even extreme viewing angles, I didn’t get any hint of washed out or degraded colors. At 500 nits, it can get plenty bright (50% brightness was typically sufficient in my use). This also mean that outdoor visibility is fantastic. 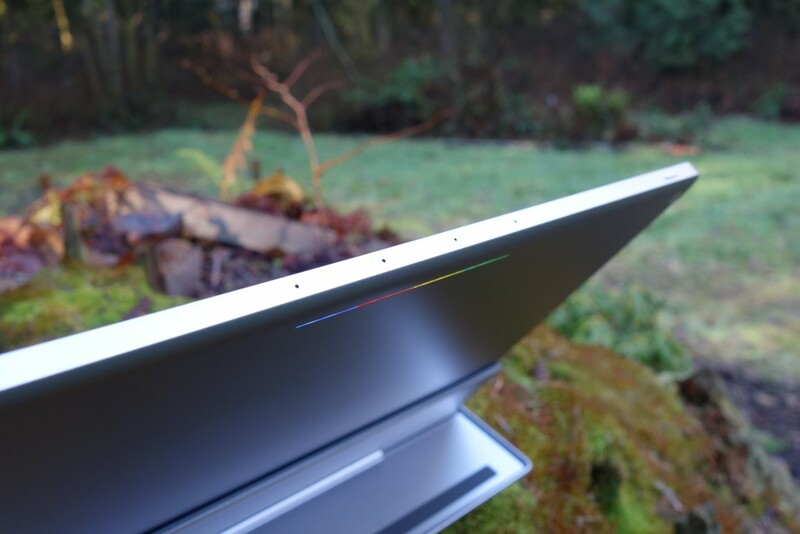 The display is just a winner all-around, and it totally backs the quality that the Pixel C promotes in presentation. 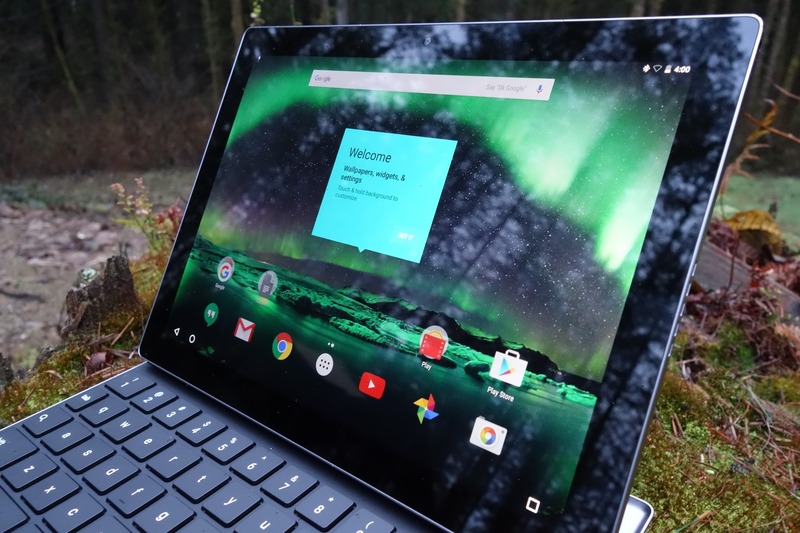 Another thing that backs the Pixel C’s top-notch hardware is the lightning fast performance. 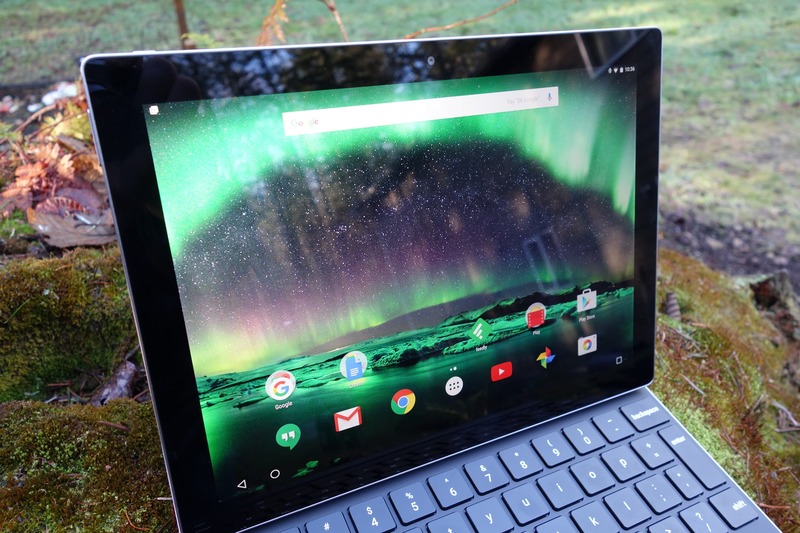 Android Marshmallow just flies on the Pixel C, the fastest I’ve ever seen it. 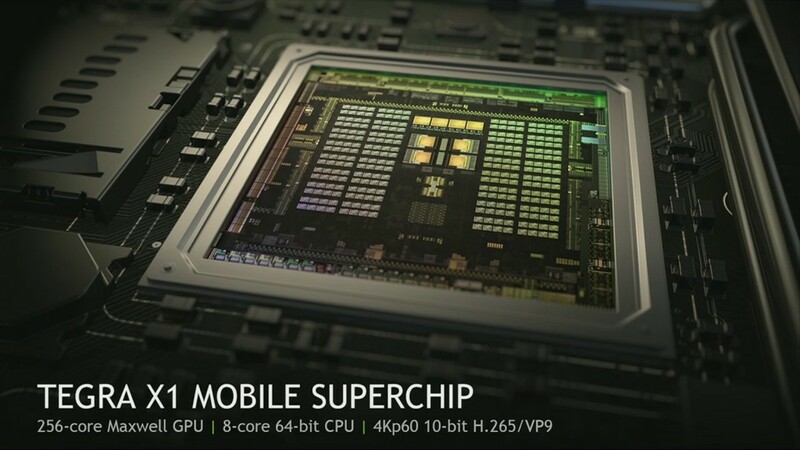 The speedy performance is thanks to the choice in SoC – Nvidia’s latest Tegra X1 beast of a chipset. It has an octa-core processor and a 256-core GPU (graphics processing unit), coupled with 3GB of RAM. This horsepower gives Marshmallow a super satisfying fluidity, making it a real joy to navigate around the Material Design UI and play games. 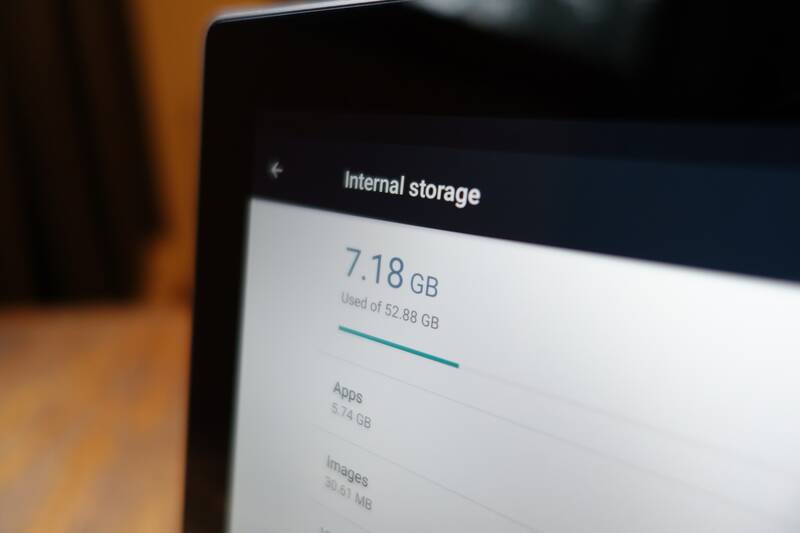 The Pixel C comes in two storage quantities – 32GB or 64GB (with the latter priced at $100 more. Tsk tsk, Google). And there’s no microSD slot for expansion, so you better get comfortable with cloud services if you need more storage. There’s also no SD card reader. It’s sounding more and more like Google didn’t aim the Pixel C to serve as a primary computer (more on this point later). Although the dual speakers don’t fire sound directly towards you, I did find that they get surprisingly loud. Also, the quality remains composed even at the highest volume. Audio from the headphone jack sounded great as well. You’ll probably be in familiar territory if you’ve used a 10″ tablet before. I’m not personally a fan of large tablets, navigation can be a bit cumbersome while handling. Fortunately, although the tablet is mostly comprised of metal, it isn’t slippery. The finish has some friction to it and I’ve had no problem keeping my grip. The robust feel of the chassis has made it a joy to handle and well representative of its price. But money isn’t the only cost of a premium build. The tablet is hefty, at 1.14 lbs. 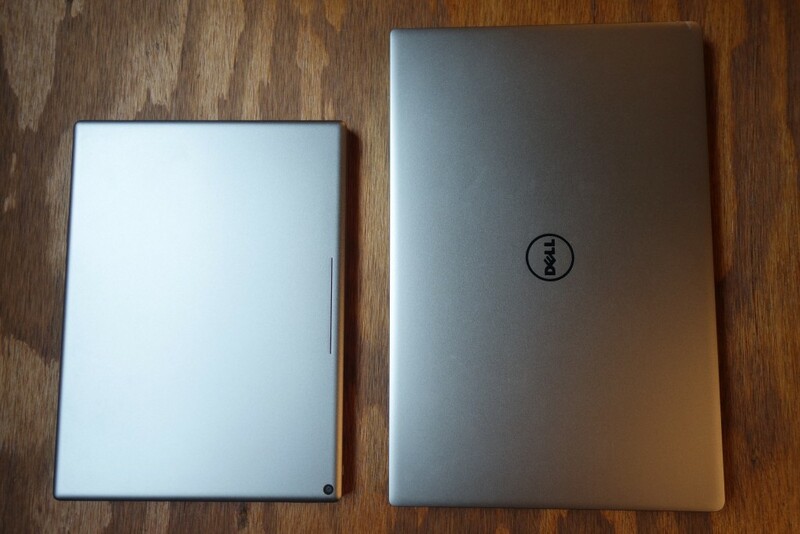 The Pixel C and Dell XPS 13 – brothers from another mother. The large size makes for a couple ergonomic concerns. My hands borderline grip the sides where the speaker grills are located. I often use my thumbs for support when I’m watching a video (it’s just comfortable for me), and they naturally land right over the speakers. The other concern is with the power button. It’s on the top of the device (left corner), which is a reach to get to. What frustrates me more is that there’s no tap-to-wake to help the inconvenience. 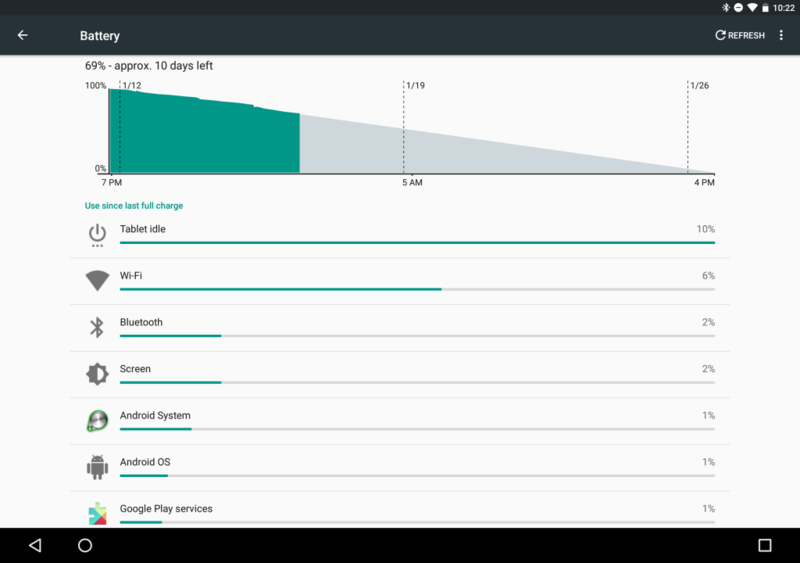 Last year’s Nexus 9 had tap-to-wake. What gives? 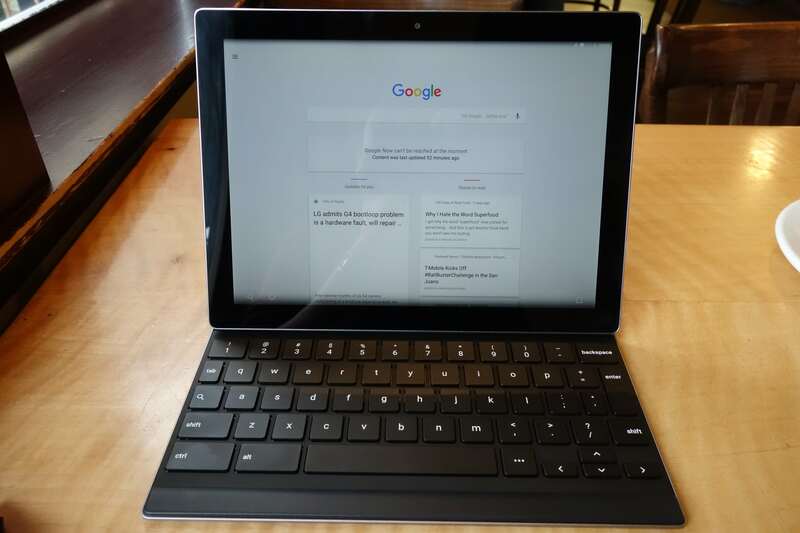 It first must be said that while Google included the neat keyboard attachment with our review unit, it’s not included in the retail purchase of the Pixel C. It’s a separate purchase, and not a cheap one, at $150. However, I’ll argue that having the keyboard with this tablet is less crucial than let’s say the Microsoft Surface. Windows is a productivity-focused OS, while Android is not. 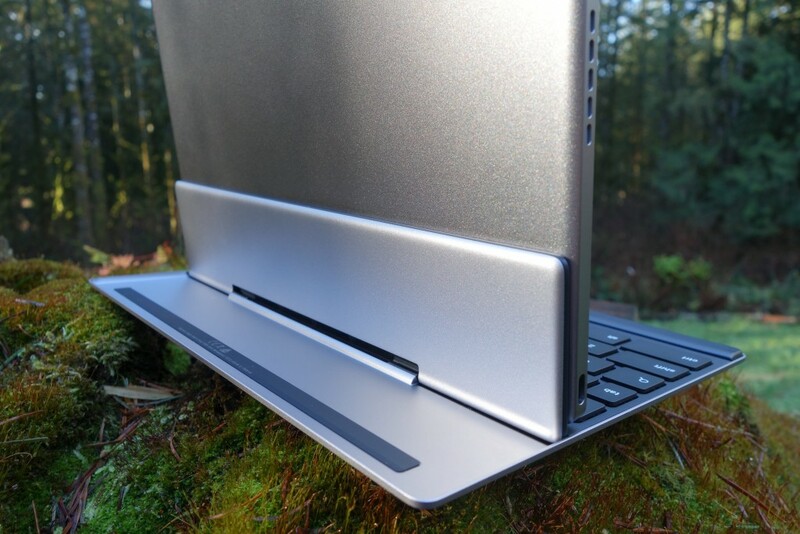 I love that although the keyboard is an accessory, it’s not an afterthought, whatsoever. It’s as well built as the Pixel C is, with the same metallic foundation. The keys, which are chiclet style, are also made from Aluminum. Their sturdiness and soft finish makes it a pleasure to type. 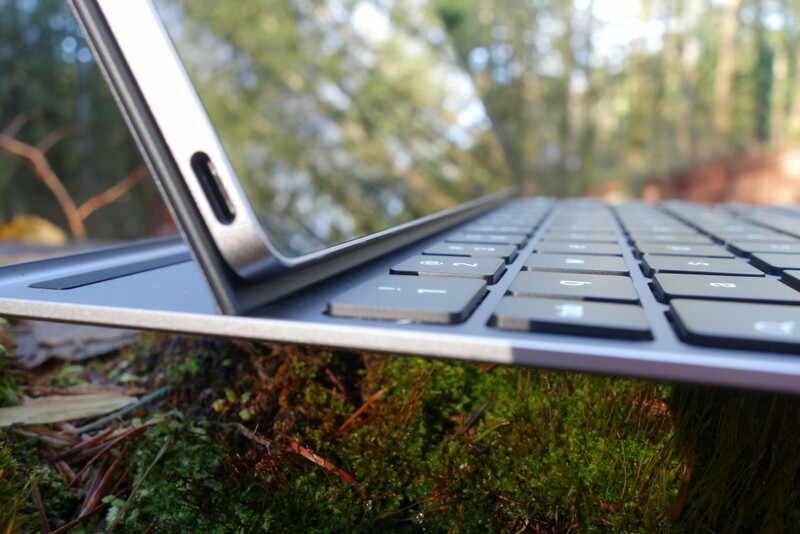 I’ve had no problems using the keyboard for lengthy writing sessions (I used it for this review). The keys are decently spaced and have great key-press travel. 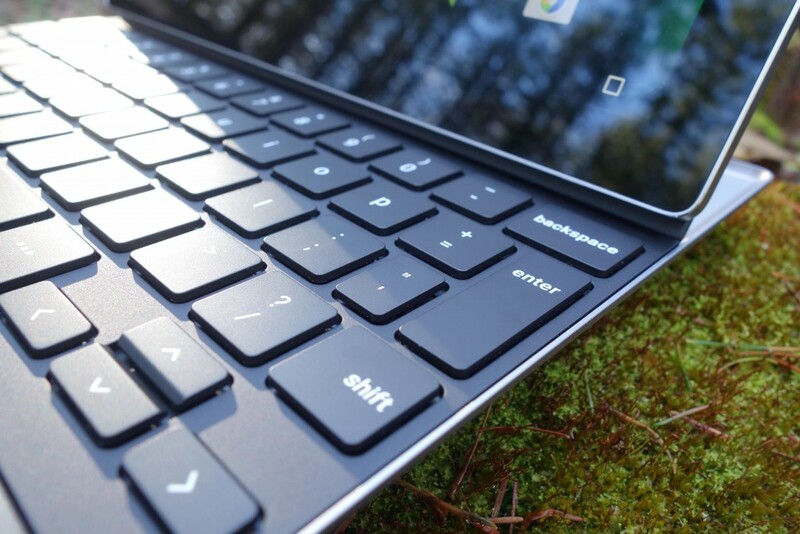 However, Google had to smush some keys (particularly, the “Enter” key is too small) and omit lesser used symbols to fit it in the Pixel C’s form-factor. 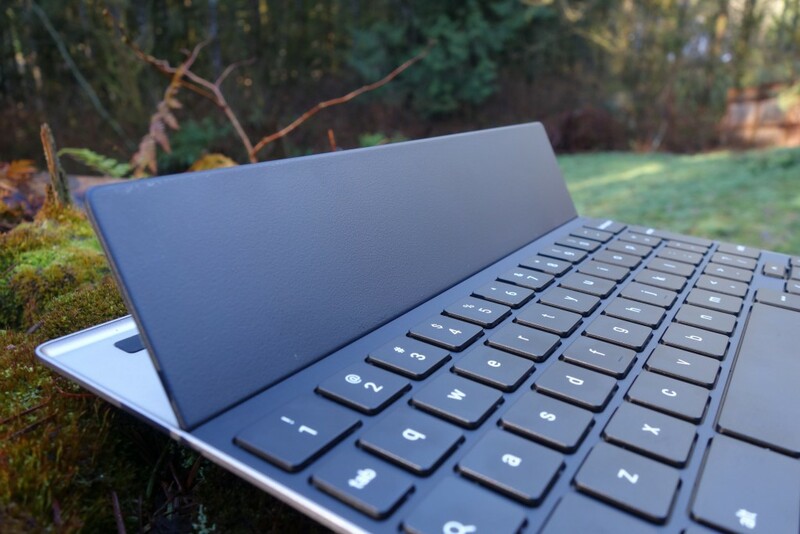 Nonetheless, if the Pixel C wanted to be a productivity machine, this keyboard could do it with flying colors. The Hotkey button “…” toggles extra symbol keys from the virtual keyboard. It can also be used for key combination shortcuts. 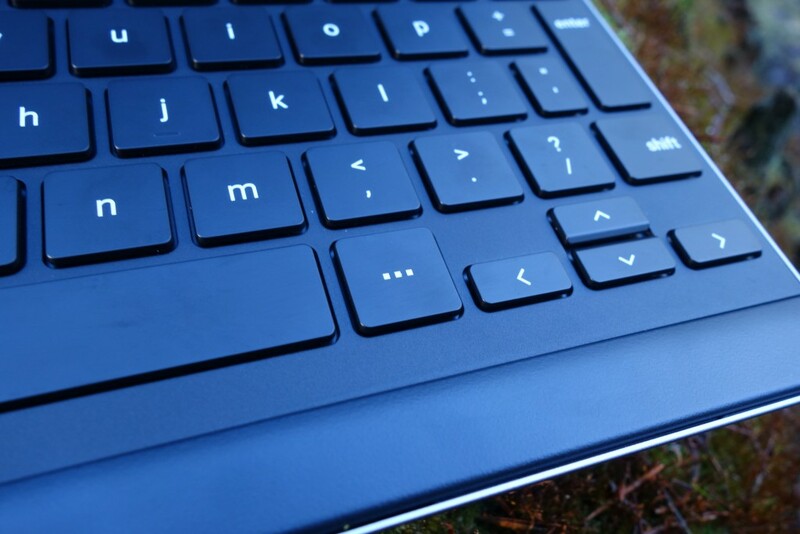 Before you commit to the Pixel C + keyboard combo, make sure that you’re okay with the fact that there’s no touchpad. Navigation through the UI is still done via the touchscreen despite the laptop form that the Pixel C can take. This is kind of awkward, especially if you’re an avid laptop user, but it works. The magnet/kickstand system is pretty fantastic, in my opinion. 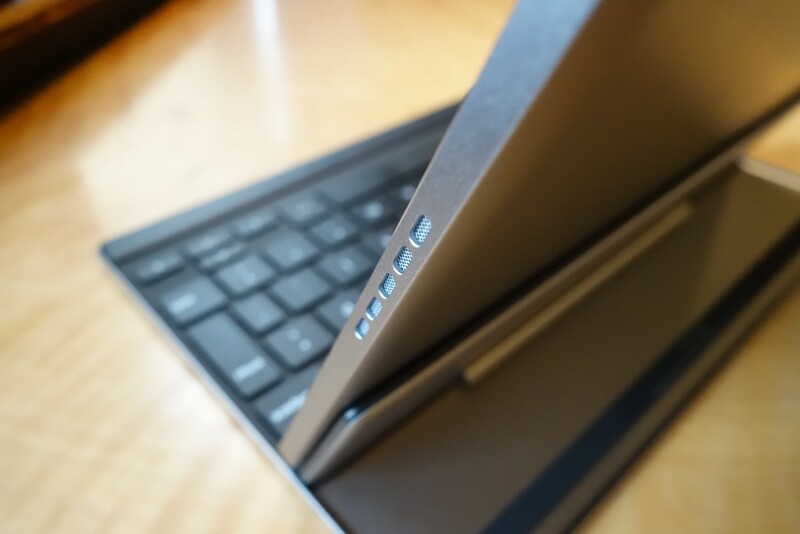 There’s no special dock to line up when connecting the tablet to the keyboard; just effortlessly plop it on the kickstand and you get a most satisfying merger. The two pieces won’t separate until you want them to. 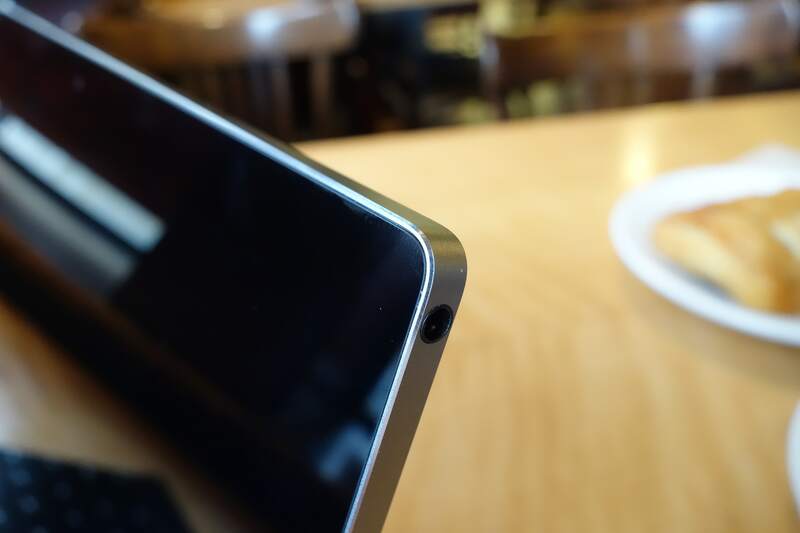 Also, Google made sure to make the magnets attract in the correct orientation, so you can’t accidentally connect the tablet upside-down. This also goes when you close the device (tablet screen face down on the keyboard). There’s only one orientation where the magnets will clasp. The kickstand is very stiff, which allows the user to freely set the tablet’s angle. The tilt range goes from all the way flat to almost 90° vertical. Be careful to stop when you get to either limit, or the tablet will fly off. That brings me to a point about the magnetic connection. It’s so strong that detaching the pieces is slightly jolting. Users need to be mindful and keep a good grip to avoid gravity taking control. Also, I’ve had a few times that the two pieces inadvertently rubbed against each other when I pulled them apart, which can lead to scratches. The keyboard communicates through Bluetooth and has its own battery. But you never have to worry about charging it. The tablet charges the keyboard wirelessly when they’re mated. 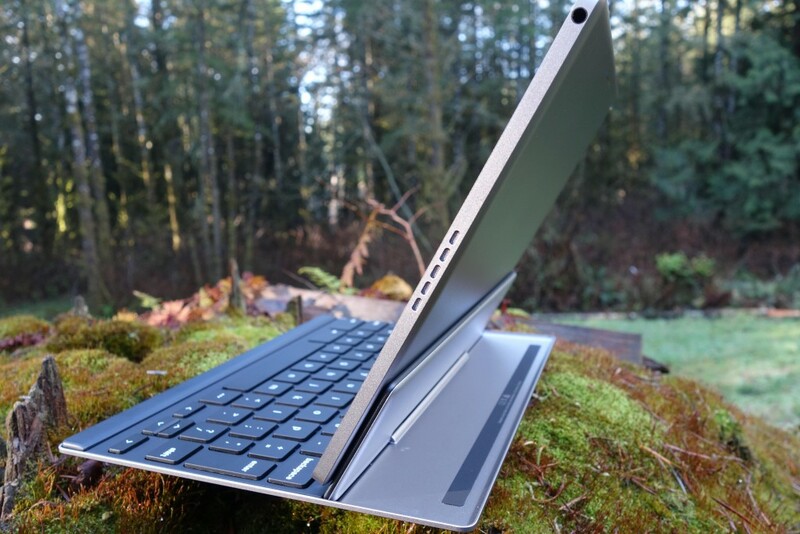 Also, the system is smart enough to only pair the keyboard when the tablet is on the kickstand. I’ll cut to the chase and say that the cameras on the Pixel C aren’t anything to write home about. We have a 8MP sensor on the back and 2MP on the front. They work fine for if you’re not mindful on quality. You’ll get an alright shot in good lighting situations, but as the light goes away, quality goes south pretty quickly (grainy-ness will show up). It’s not as critical to have a great camera on a tablet as it is a smartphone, but I feel like Google should’ve done a bit better, at least with the front camera. I see more likeliness in video chatting than using the rear camera while you’re out and about. 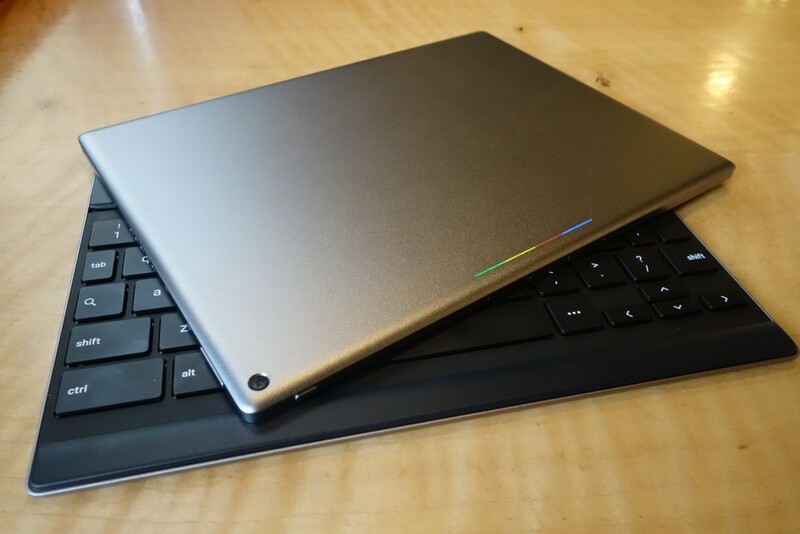 I was satisfied with the life of the Pixel C’s 34.2 WHr capacity battery. My tablet usage is very on and off. Therefore, the battery life test is determined by usage as much as it is Doze’s efficiency. Straight up usage shows a really constant battery drain for typical use cases (web browsing, chatting, video watching). 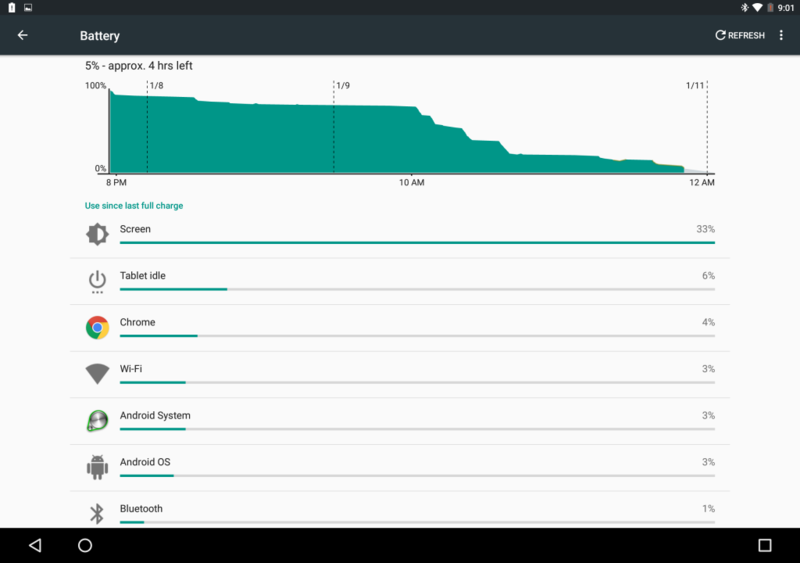 I observed about 10% battery drain an hour (with 50% brightness). With a more on/off behavior, Doze really shows its power when the tablet is not in use. The following battery drain was over a few days. Notice how little battery life Doze uses with a couple days of no use. 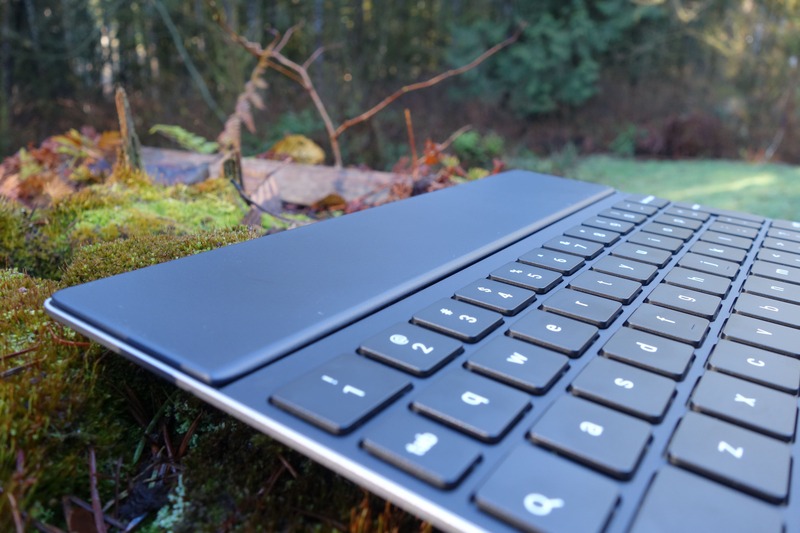 Tons of reviewers bash the Pixel C for not having productivity features to justify the keyboard’s existence. But I think that they’re looking at it wrongly. The keyboard is meant to complement Android (if you type more than the average bear). Adding on a keyboard doesn’t mean that it’s now a productivity beast, that’s just an implication that the industry is making based on similar devices on the market. My belief is that Google did not target a productivity-focused audience with the Pixel C, or try to make Android something that it’s not. So from that perspective, let’s dive into the software experience. Android 6.0 (Marshmallow) is as fabulous as ever on the Pixel C. In combination with the powerhouse Tegra X1 chipset, all of the Material Design animations and transitions just fly. Material Design is so beautiful when you see it with this level of fluidity. Sometimes I just want to use it with no purpose; only to play around the UI and adore the response. You’ll be in familiar territory if you’ve used Material Design. But because this is a tablet, you get native landscape support. The notification shade drops down from the location where you drag it down. The bottom navigation bar splits the three-button layout, with Back and Home on the left corner and Recent Apps on the right. Other than these things, you pretty much have the same UI as on Android phones. I must mention that everything has not been picture perfect. 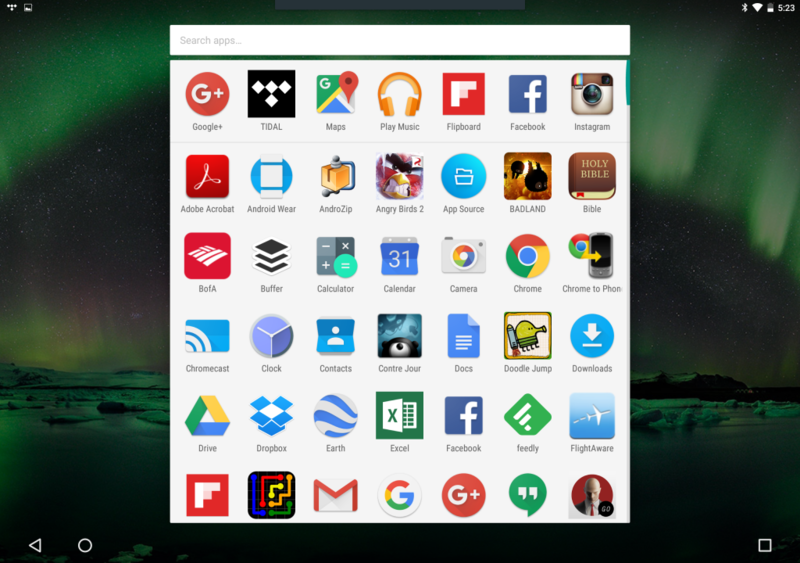 There are a couple repercussions from Android 6.0 not thoroughly being tuned into a tablet interface. My biggest gripe was that content often merely gets stretched to fill the display’s extra space (unless it’s one of the few apps that is coded to take advantage of the larger screen real estate, such as Gmail and YouTube). It seems like a wasted opportunity to make the user feel like the tablet’s large screen was a vauable investment. 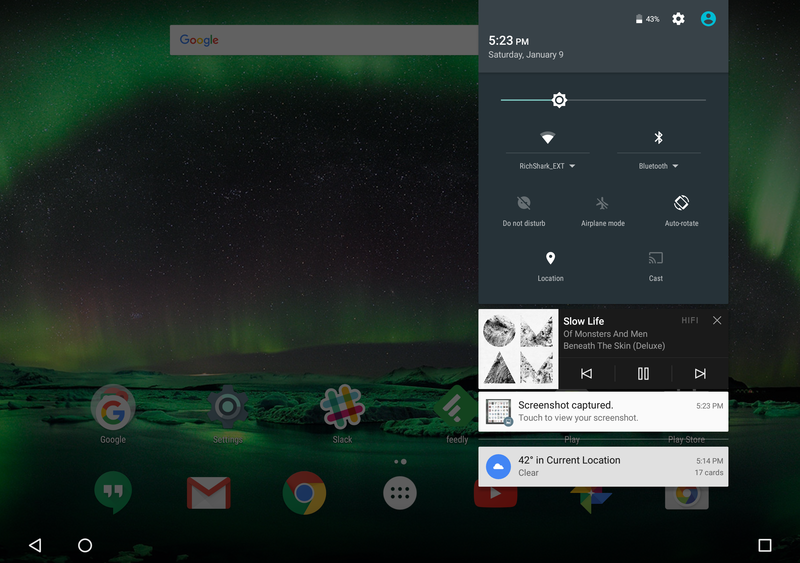 A Dual Window mode in Android 6.0 would have helped tremendously in this case (Google has said it’s in the works). Also, apps sometimes aren’t coded with landscape support. 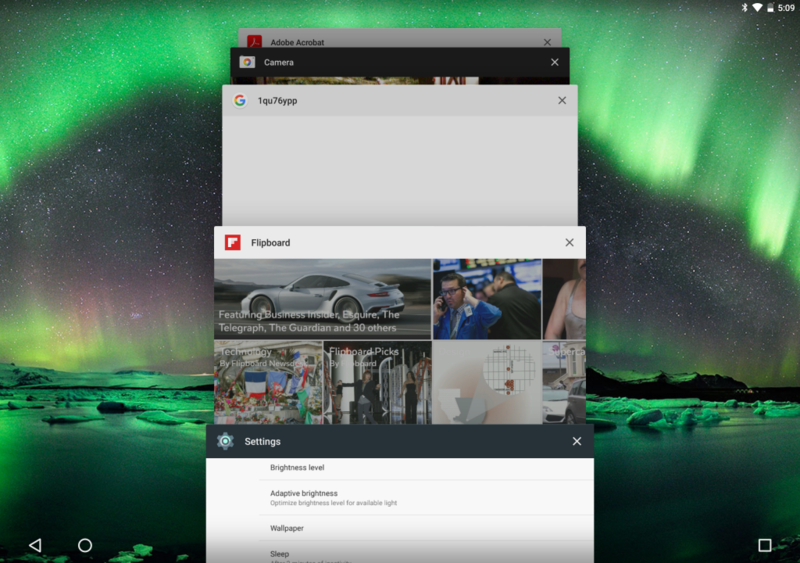 This is especially awkward when you’re using the Pixel C like a laptop; it disrupts the experience. I also dealt with a bug in my use. At some point, the performance stopped being speedy, and rather, was jittery and not completely responsive to my taps. So much so that I stopped using it (powering off/on didn’t fix it). When I picked it up again a couple days later (with the intent of factory resetting), I noticed the issue was gone. Weird. Some may look at Google’s Pixel C as a lost cause. From certain angles, I can get on board with that. There are plenty of more capable 2-in-1’s out there at this price-point. But then I feel like we’re missing the point. The Pixel C is made for the premium Android lover. It’s not about practicality. The fact that it’s a Pixel or that it has a keyboard attachment shouldn’t confuse that this thing is first and foremost an Android tablet. 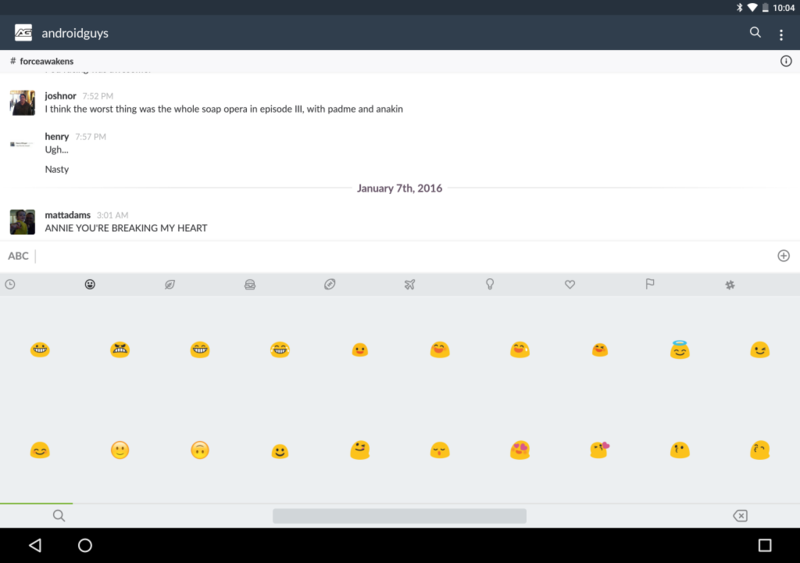 The Pixel branding is a progression and the keyboard is an enhancement. And it makes sense when you look at the retail price of last year’s Nexus 9 – $399 (16GB model). When you take into account the Pixel C’s souped up build and larger screen, the $100 extra is justified (the 32GB Pixel C starts at $499). However, there’s certainly more work to do. Usability can be improved on a few fronts, such as adding back in tap-to-wake and shedding off a little weight. The cameras don’t represent the quality that the rest of the device does. And maybe most importantly, we need more support in Android to take advantage of the larger screens on tablets. I look forward to seeing where the Pixel C heads in the future, and hope Google gives the same treatment to its phone this year. But for now, if you’re an Android fan in need of a tablet, and value a premium device, then look no further.